Typography is a fundamental principle of good design. Whether you’re designing for print or the web, good typography helps balance the visual structure of your design between the content and the visuals. Apply these eight elements of typography to make sure your viewer can navigate through your content the way you’ve intended. Good color contrast may seem like an elementary concept, but there are some easily overlooked things to note when selecting colors for your typography and overall design. One of the most common mistakes (and the easiest to fix) is putting black text on a white background – this is too much contrast! If you look at most well designed websites, you’ll notice the black text on the white background isn’t really black – it’s grey. This technique takes down the contrast and makes it easier for the viewer to read. Contrast is not achieved simply by finding two very different colors. Just because two colors are different doesn’t mean they will provide good contrast if their value is the same. A simple test to see if your design has enough contrast is to convert it to grey scale. This will allow you to easily see the value of the colors, which in the case of contrast, is much more important than color. In the image below, even though the colors are very different, once they are converted to grey scale, you can see that their values are so close the words become almost impossible to read. This tells you these colors are not a good pair. A professor I had in college told me the trick was to squint your eyes and if you could no longer differentiate the colors, you didn’t have enough contrast. 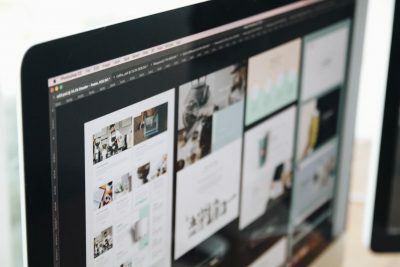 If you design on a computer like most of us, it’s a bit more technical, but just as easy. In Photoshop, after flattening your work, select: Image>Adjustments>Desaturate. In Illustrator you do this by selecting your design, then select: Edit>Edit Colors>Convert to Grayscale. 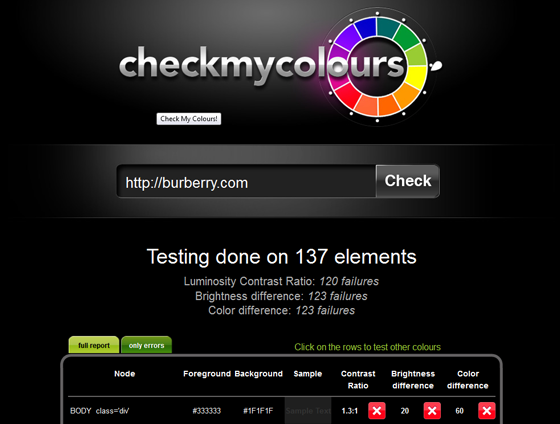 If you want to check the contrast on a finished website, use checkmycolours.com. 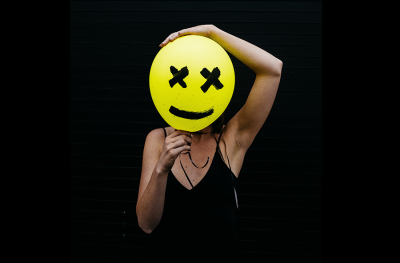 As with any tool, this tool is only as good as the data it can read, so don’t be shocked if it says your site has a few failures. 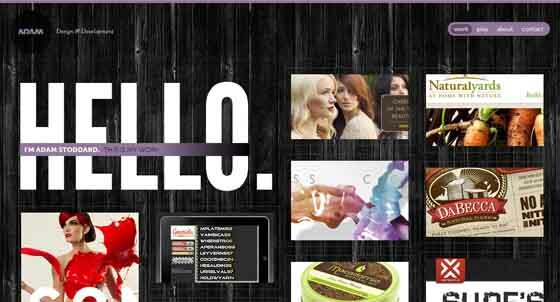 Print design and web design differ here – mainly due their respective mediums. In print design, 10pt font for body copy is generally accepted, but on the web, we deal in pixels. The equivalent of 10pt is 13px and this is a good size to stick with for body copy on the web. Anything smaller than these sizes will be too small for the average viewer to read. Of course, keep your audience in mind. If you’re designing a website or brochure for a more mature audience, make your type bigger – your viewer will be happy you did. Leading is the space between lines of text – what web designers refer to as line height. The word leading originated when type was set by hand in printing presses. Lead strips were put between lines of type to add space. Without space between lines of type, it becomes difficult for the viewer to read and follow from one line down to the next. Adding too much space makes large sections of text tedious to read. In print design, standard leading is 120% the point size of the font (10 point type/12 point leading, 12 point type/14.4 point leading). In web design, a good line height is also about 120%. In both print and web design, this percentage can vary slightly based on the typeface used depending on the x-heights, ascenders and descenders of each letter form. Many times, very tight or very open leading can yield beautiful typographic treatments, but should be reserved for small amounts of text, not large blocks of copy. This example from neotokio.it demonstrates how tight leading can create a great typographic treatment for a header. Kerning is the process of adjusting the space between individual characters. The goal of kerning is to achieve more balanced type – equalizing the appearance of whitespace between characters. This is especially important in headers and large type. While not as important in paragraphs of small type, kerning can be quite functional when you’re attempting to avoid line breaks in your design. 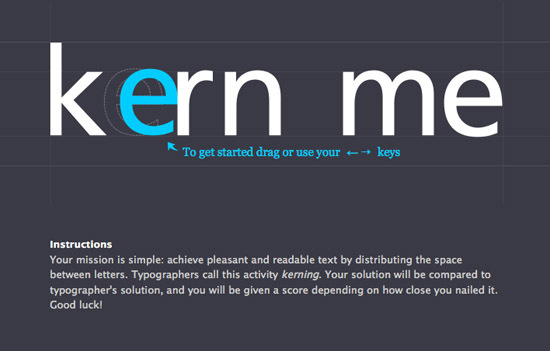 Kerning has, until recently, been mostly reserved for print designers due to the difficulty of kerning for the web. There are now some easier ways to kern for the web. One great tool is kern.js. Web designers often establish typographic hierarchy by using the tags <h1>, <h2>, and so on. Hierarchy isn’t size alone, but has more to do with the prominence of your typographic elements relative to each other. This could be achieved by using a different typeface, a contrasting color, white space or size. Achieving good hierarchy should generally start with a sketch where you layout what your most important visual element is down to your least important element. The most important element doesn’t have to be larger, it just needs to take more prominence over the other elements. Ask yourself what you want the viewer to read first. This doesn’t have to be what is actually first in your layout – it just needs to be the focal point. In this example, the home page of thisisdare.com, what is the focal point? “DARE” right? In this case, the focal point is achieved with size and color, but where does your eye go next? I’d say it goes to the bottom to find out what DARE is. The hierarchy here is achieved by color and contrast despite its order in the composition. What if the about us text were black rather than orange? The color isn’t being used just for its aesthetic quality or to match the word DARE, it’s being used intentionally to create hierarchy and lead the viewer’s eye to where it should go next. White space, or negative space, is the space between elements in a composition. If your typography and other design elements are dense and too close together, your content will become difficult to read. This is where whitespace comes in. Whitespace can be used to create balance or lead the viewers eye from one part of the composition to the next. It can invoke a feeling of elegance or add a level of communication to a typographic treatment. The FedEx logo uses the whitespace between the uppercase E and the x to create a counterform – an arrow. This adds a secondary level of communication to the word. Milton Glaser’s newly designed website employs white space to add a feeling of simplicity and elegance, as well as create positive and negative forms that lead your eye around the content. Print designers have always debated which font is easier to read – serif or sans serif. The truth is, there is no evidence to support that either one is more legible than the other in print. Some say sans serif fonts should be reserved for titles and headers and serif fonts should be used for body copy, while just as many others say the exact opposite. However, when dealing with web design or any kind of on-screen design, it is generally agreed upon that sans serif fonts are easier to read on screen. They should be used for the majority of text on screen while serif fonts should be primarily used for small sections of copy such as titles and headers. 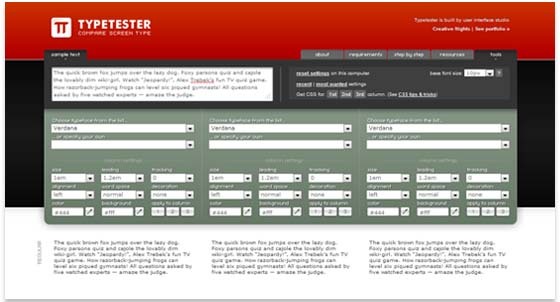 Typetester.org is a great tool to compare typefaces you’re considering for your website. In the recent past, typography on the web was limited to web safe or system fonts. If you were to design a website using the typeface Akzidenz-Grotesk, hardly anyone would have it installed on their computer and as a result, your visitors would see your text in Helvetica or more likely, Arial – whichever typeface they had installed on their system. In a vain attempt to compensate for everyone on every system (even the Linux users) we would create fallback fonts on top of fallback fonts – a sort of Russian Roulette for typefaces. 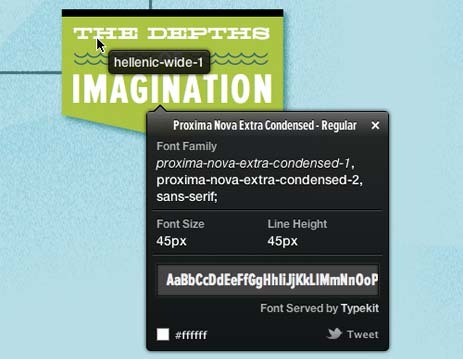 You can buy professional fonts with web-licenses from many online font distributors including myfonts.com, fontspring.com, typekit.com and typotheque.com. Most sites have licensing options which allow for print and web use, and they all allow for some sort of free trial period. If you’re just starting out or don’t want to commit to a font financially, you can give Google Webfonts a try – it’s free. They have some decent fonts and simple installation instructions. If you want to see your (or any) site with a font facelift, try out the font-swapper from webtype.com. For a great example of webfonts in action, check out adamstoddard.com. Understanding these basic typographic elements and applying them skillfully to your print or web designs will enhance the readability for your viewer and the quality of your design. 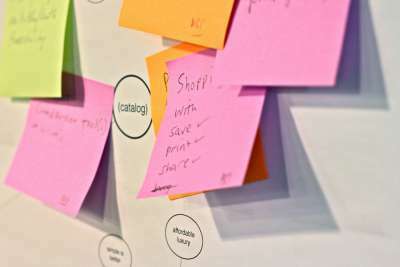 Keep in mind design is a creative process and treat these guidelines as a foundation for your designs – not a set of rules to follow.